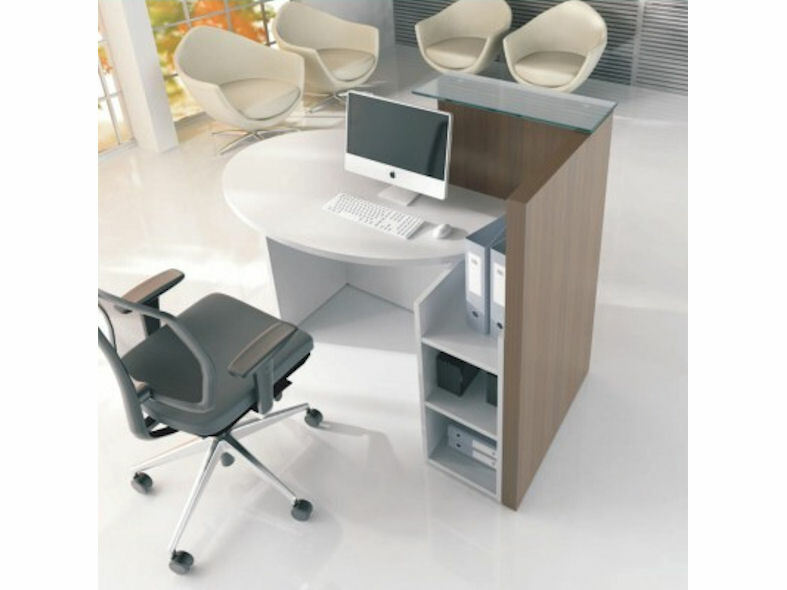 MDD Ovo small, multi purpose reception desk has a clear toughened glass counter top mounted on flat upright panels which can be finished in either Cocoa ( similar to a straight grained Maple ) or Chestnut ( Wenge ) wood laminate. 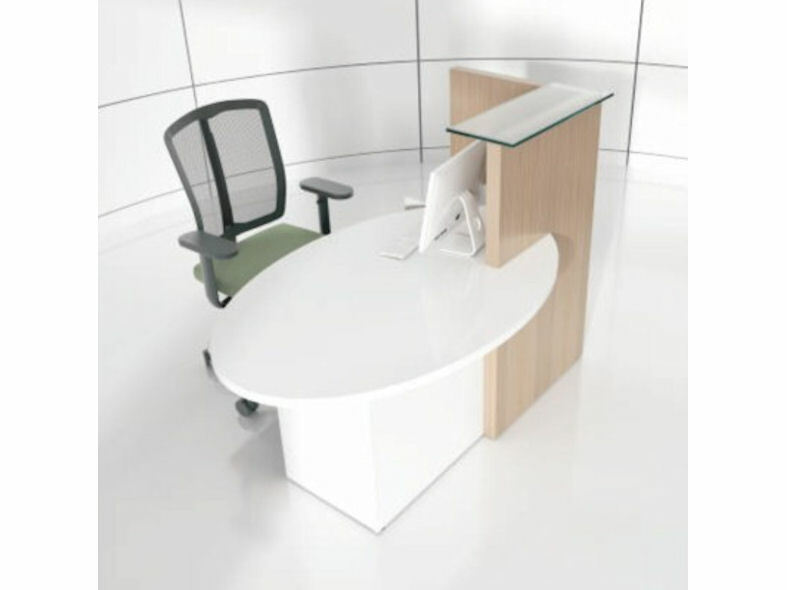 The oval shaped desk and meeting table top, supporting base and open fronted shelving and filing pedestal are all finished in white high pressure laminate. 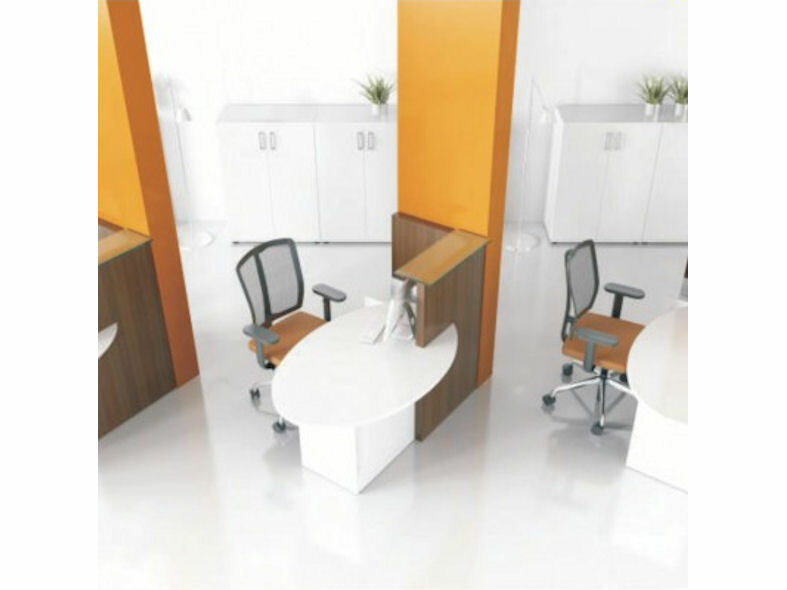 These are ideal for use in restricted spaces.